The Cypher Oval has a large frame made for clipping just about anything. 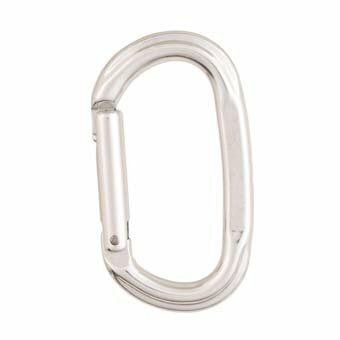 The innovative frame profile allows for increased gate opening clearance not found with other oval carabiners. Keylock gate closing avoids snags while clipping and unclipping.